Includes CD of SSRS Music for calming and balance in pets. 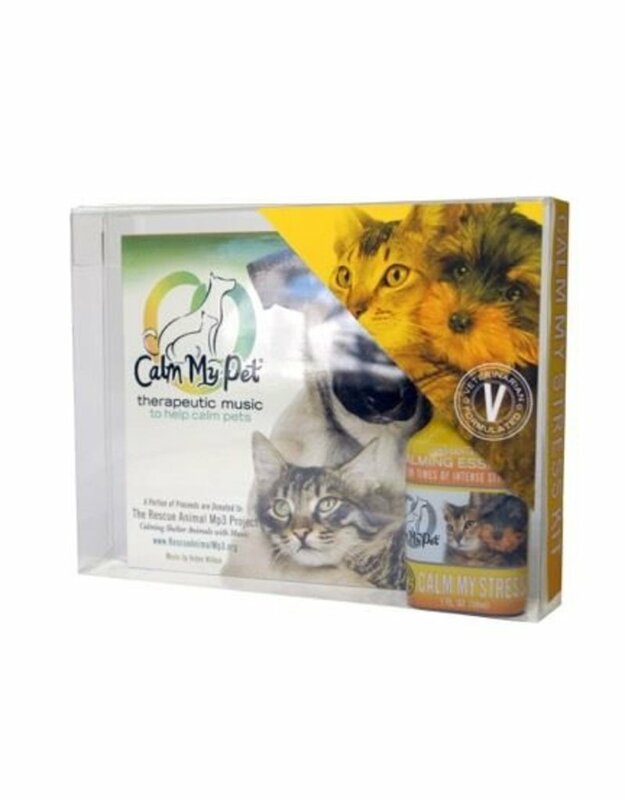 Kit includes Calm My Stress spray and Calm My Pet Music CD. Use Calm My Stress Essence for any stressful situations including but not limited too; vet visits, car rides, loud noises, fireworks, thunderstorms, boarding, shows, and visitors. Use both spray and CD in combination for ultimate stress free environment.